It’s your turn to bring team snacks to the park, and you need the perfect snack that’s not loaded with sugar and is more exciting than plain old orange slices. 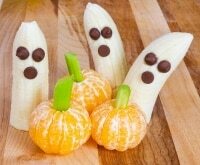 It may be hard to get away from the convenience of pre-packaged snacks with tons of sugar and artificial ingredients, but you can make simple, easy, and healthy snacks for a team of hungry athletes. Of course, say “healthy” to a bunch of hungry kids and you’re likely to end up with mutiny on your hands. 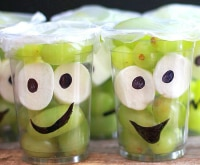 So we’ve found 13 healthy snack ideas for kids that will have your whole team cheering. Easy to make (yay for you!) and fun to eat (yay for the team! 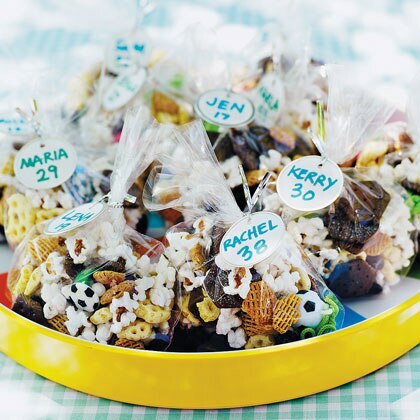 ), these 13 ideas make it extra fun to recharge a room of little athletes with snacks that totally score a touchdown. 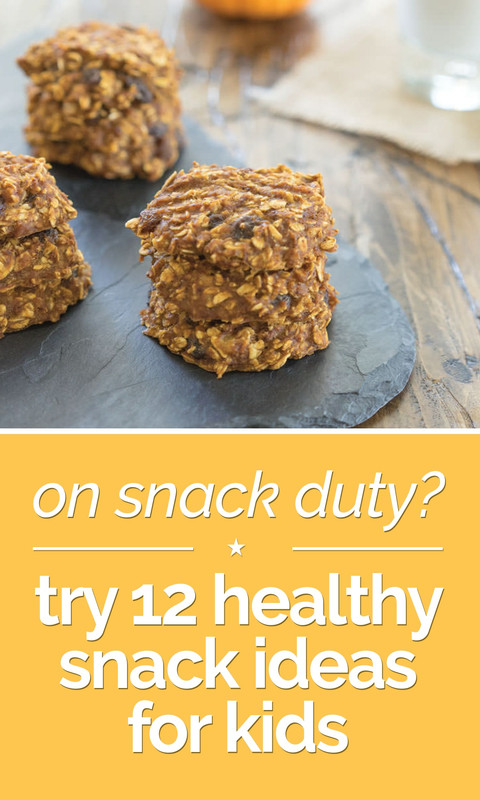 Need more snack-spiration? Try our recipe for homemade fruit leather, plus 10 more recipes for healthy team snacks! 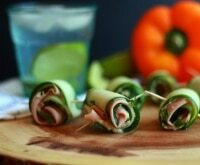 Forget those packages of corn syrup snacks! 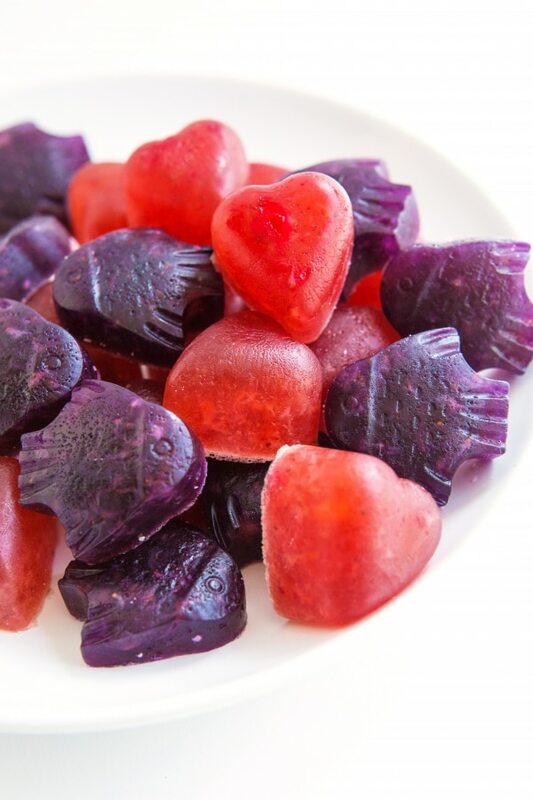 Prep a batch of your own adorable, honey-sweetened fruit snacks in less than 10 minutes with this simple recipe. All you need is a silicone mold (to create those cute shapes!) and five other basic ingredients. 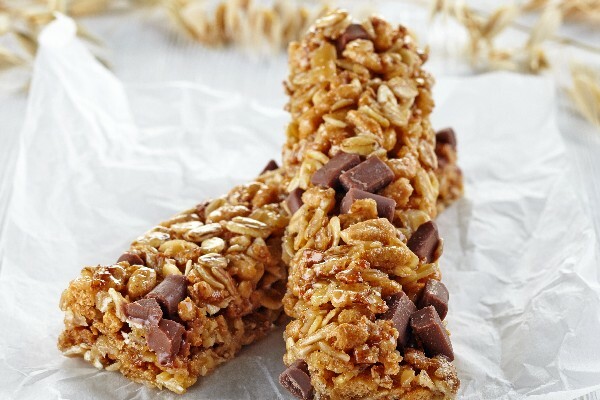 Prep a big batch of homemade granola bars so good, everyone on the team will feel like a winner. This easy recipe takes just a few minutes to prep and requires no baking, so you can make enough to feed the whole team in no time at all. This recipe is great because you can prep it ahead and pack it easily. Each bite is chock-full of plant-based protein and energy-giving carbs. So your team won’t just have a yummy treat, they’ll have one that keeps them kickin’! 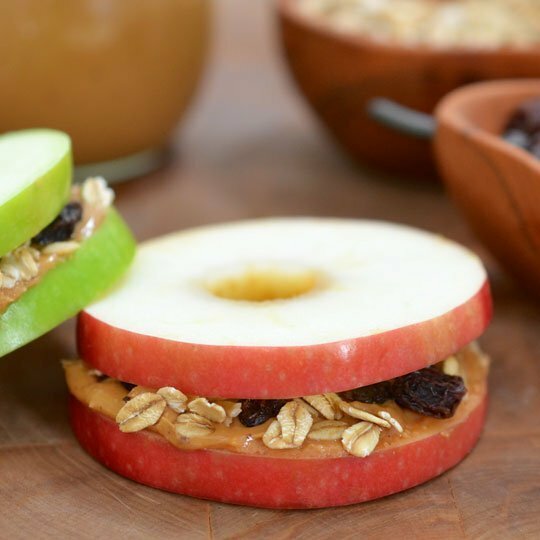 Upgrade plain apple slices with oats, peanut butter, and tasty add-ins for a sandwich that gives the team an extra boost of energy to keep playing. Swap out peanut butter for sunflower butter if allergies are a concern. 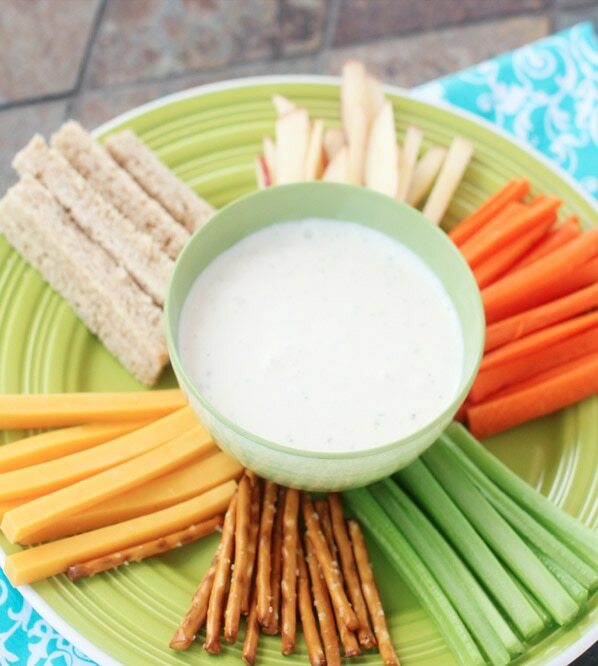 Bring a large, portable tray full of snack sticks to your sporting event. Kids can grab and mix their favorites, such as pretzels, breadsticks, cheese sticks, cut-up granola bars, apple sticks, and veggie sticks. 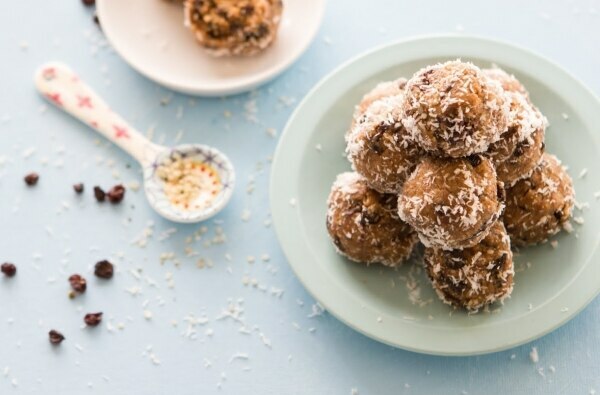 These gluten- and nut-free sunflower seed protein balls have added protein powder for muscle recovery. 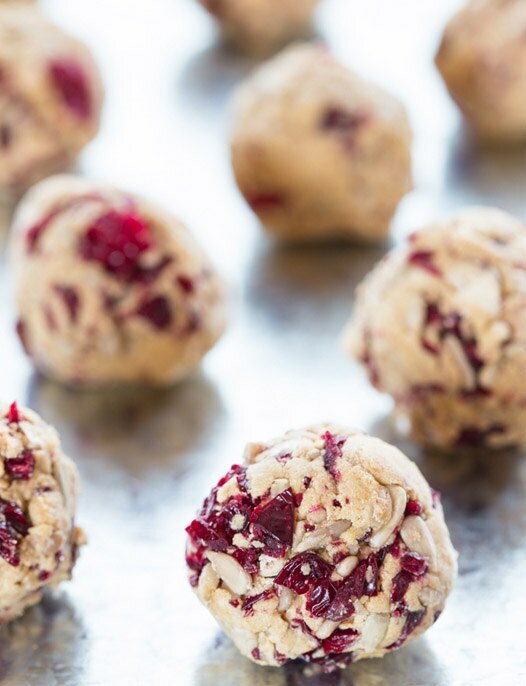 This yummy, no-bake recipe can easily be made in your food processor. 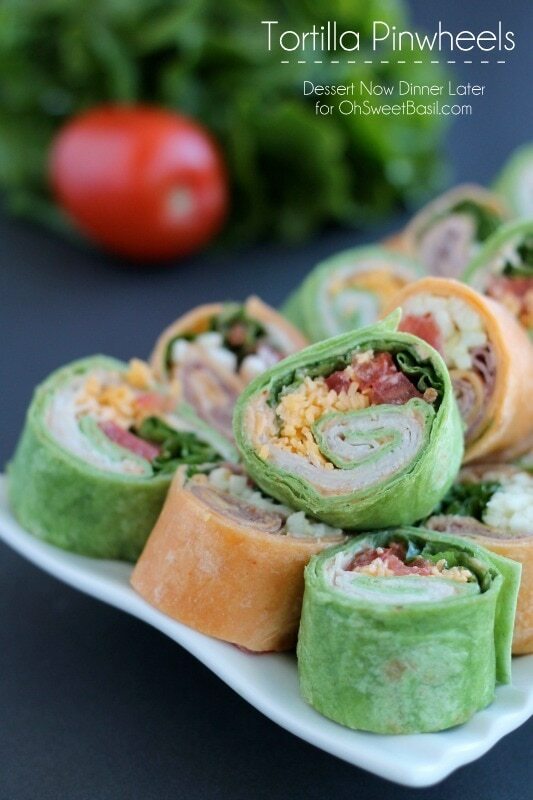 A full-day sporting event can be exhausting, but these tortilla pinwheels will easily satisfy and re-energize the team. 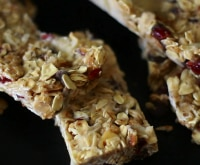 They can be made in 10 minutes and make a great portable, non-sugary snack. 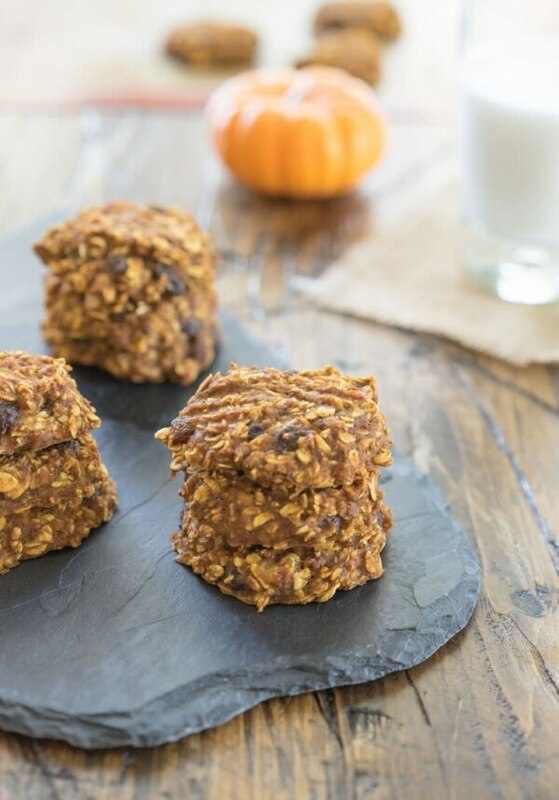 Only 5 minutes of prep time will produce these healthy pumpkin oat cookies. They’ll disappear quickly, so make a few batches! 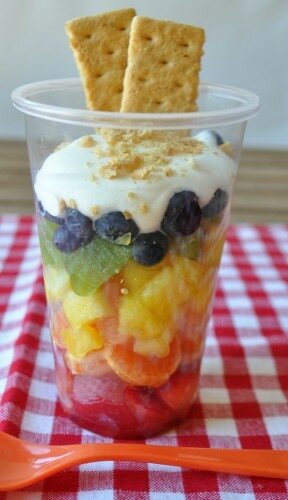 Layer cut fruit in portable plastic cups for a healthy team snack. These rainbow fruit cups will recharge the team on a hot, sunny day. 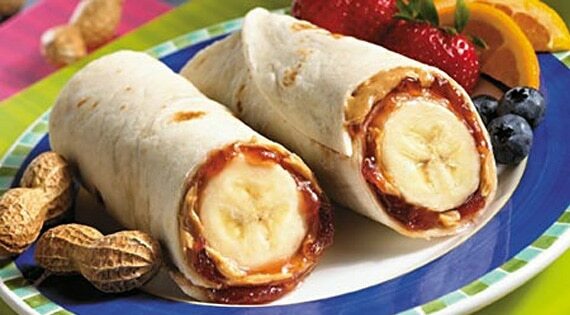 Banana tortilla wraps are a simple snack that kids will love to eat. Use your favorite jam or honey and swap out peanut butter for sunflower butter if peanut allergies are a concern. It doesn’t get much easier than cheese and cracker stacks. 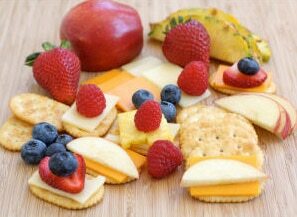 Use a variety of cheeses or choose just one, and alternate cheese and thinly sliced apple between the crackers for a satisfying grab-and-go snack. This versatile mix can be made with whatever snackables you have on hand. Sneak in some chocolate sports balls to ramp up the team energy. Zip ‘em up: Make ready-to-go packs for each player on your team in resealable baggies. Include a piece of fruit, a snack, and pouch drink in each baggie. You might even want to include a hand towelette for easy tidy-up. Personalize each pack with a permanent marker so you can ensure every player received their resupply kit. Create a team bucket: A great, no-waste option! Clean a large, plastic ice cream bucket and decorate it just for your team. Each week, the bucket can be passed to the next person on snack duty. All you have to do is fill the snack bucket and bring it to the game. You can even use the bucket for extra-simple cleanup, since it doubles as a trash bin! Get a cooler: Pack a party and put your snacks on ice by bringing a large cooler to the game. Fill the cooler with drinks packed on one side and snacks on the other. Team players can line up and grab one of each, and you’ll be the coolest parent of the pack! Set up a snack bar: Toting several snacks? Set them up buffet style! Bring a small, portable table to the game and prop it up courtside. When it’s time to snack, players can walk through and choose from an array of options. Drinks, sliced fruit, granola bars, pretzels, and cheese sticks all make great combos.